Garage doors are our world! Rely on the excellent service of Garage Door Repair Baymeadows and live a life free of related problems! We really know how to make them disappear thanks to our knowledge and dedication. We're proud to say that we have the competence needed to repair, install and replace all types of doors made by any manufacturer and we do our job right! We really have what it takes to keep up with your demands, exceed your standards and offer you quality and speed. We can also order your favorite garage door opener, a new remote and a brand new door from Stanley, Wayne Dalton, Liftmaster, Genie or any other industry of your choice. Will we be there to assist you choose? We certainly will! Our staff is actually here for all your demands, questions and issues. Check out our website! Call for quotes! Report problems! We're garage door contractor and take care of any problem with amazing velocity. We don't underestimate the importance of any problem and never arrive late. On the contrary, we find the most suitable time for our client and are punctual! We service garage doors for either commercial or home use and we're good at what we do because we're expert teams with long training and unbelievable zeal to fix damages properly. Stop asking yourself whether it's wise to call for assistance! Let us maintain your overhead door today and see the results yourself. Our customers are our business families! We care to see you safe and fully satisfied and give best ourselves to offer you top repair services. 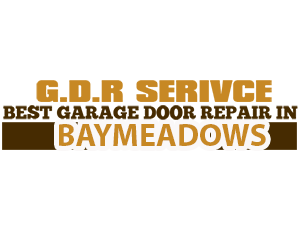 You have a million reasons why you should pick Garage Door Repair Baymeadows for services but we'd suggest focusing on only one for now: our commitment!